Can UW knock off the Trojans? When he was the coach at Washington, USC head coach Steve Sarkisian used two wins against USC to help propel his program forward. 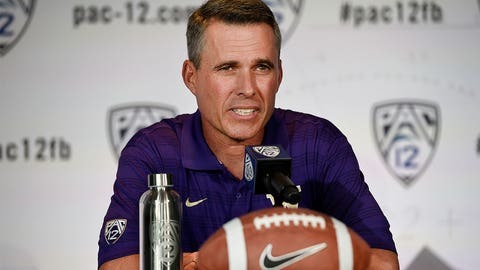 Now, Chris Petersen is looking for the same type of victory as his Huskies prepare to take on Sarkisian's No.17 ranked Trojans. Sarkisian called those two victories over USC “really helpful” in terms of establishing a culture of winning at UW. In Petersen's second season with the Huskies, the team is 2-2 and is desperate for a landmark victory. USC provides Petersen with an opportunity to score such a victory. Can the Dawgs get it done in Los Angeles on Thursday night?